As the supercontinent of Gondwana broke into the continents we know today, Africa (and the Arabian Peninsula) became a biogeographic crossroads for non-marine ecosystems. However, little is known about the evolution of African ecosystems at the close of the Cretaceous. Fossil evidence from southern Europe suggests occasional interchange, and fragmentary remains hint at lingering connections with South America. 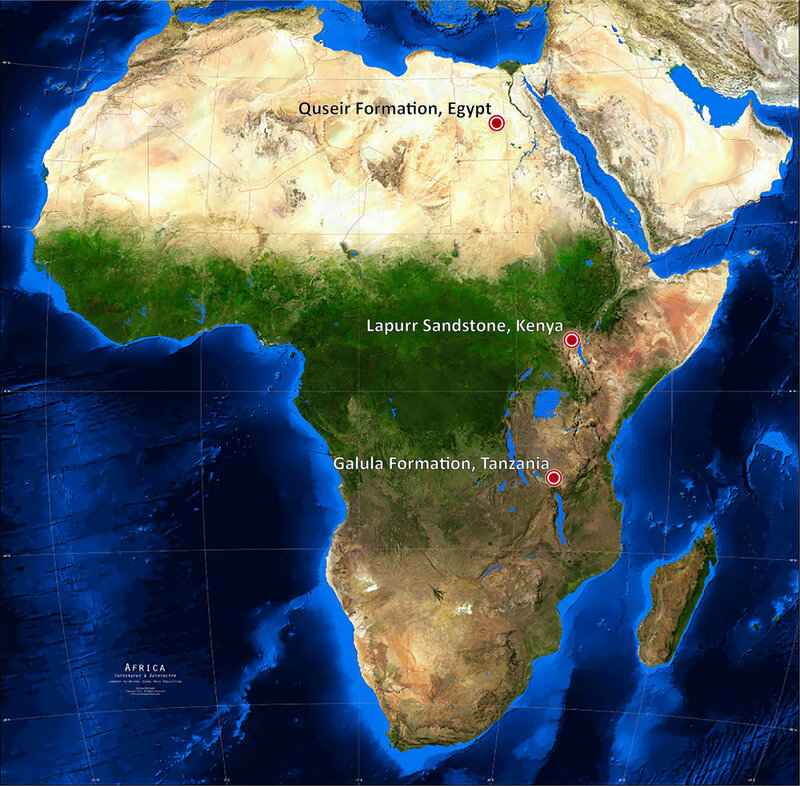 The purpose of the Island Africa Project is to explore rare terrestrial deposits from the Late Cretaceous of Africa between 90 and 66 million years ago. Collaborative work with the Mansoura University Vertebrate Paleontology (MUVP) team has begun to uncover a novel Late Cretaceous (Campanian) dinosaur ecosystem with tantalizing links to Europe. Ongoing research under the Rukwa Rift Basing Project led by researchers at Ohio University, James Cook University, and University of Dar es Salaam has recovered “middle” Cretaceous and early Late Cretaceous dinosaur ecosystems that included bizarre, mammal-like crocodyliforms in southwestern Tanzania.